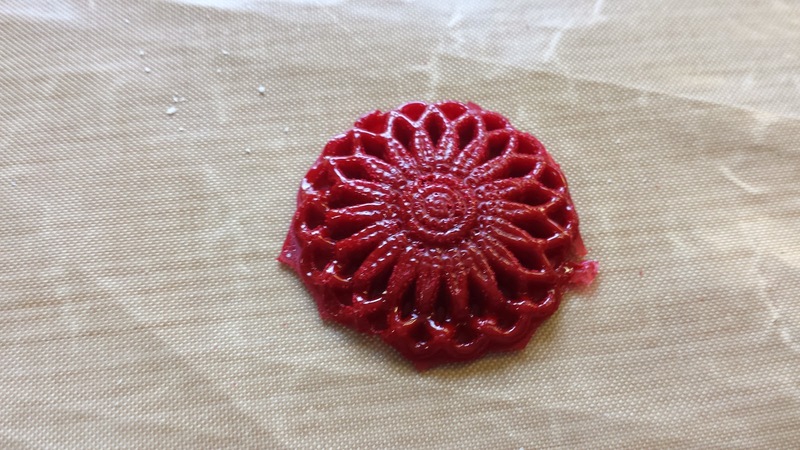 I've bought a couple of silicon molds meant for paperclay/melt art/resin in several designs. I have a liquid resin kit, but not a melt pot, and feeling like trying something new I decided to improvise one. 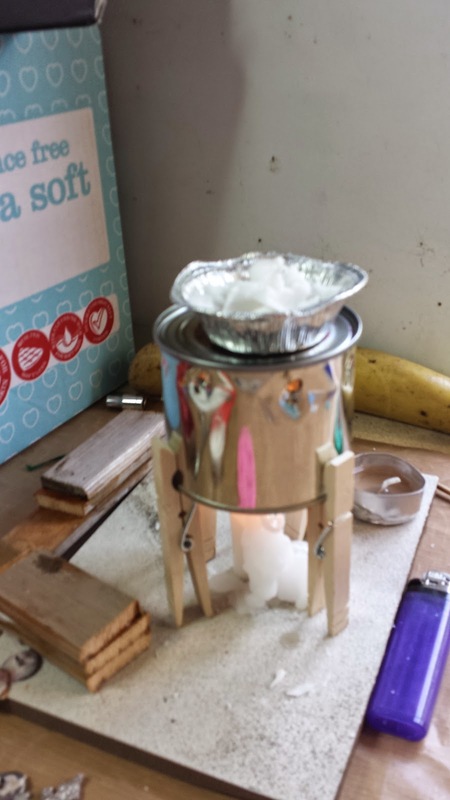 I drew upon my girl guide days and created a billy can cooker and used a cake foil to melt my powder. AS you can see its just a small baked bean tin with holes punched under the top (for air, very important), balanced on some wood blocks I found in the wood pile and hacked up (also important as this lets in air at the bottom). In my girl guide days we used wooden pegs to prop it up, but I only have plastic ones these days.The whole thing sits on a slate tile left over from paving my mother's conservatory. This was lots of fun. I used some tea lights which lasted longer but didn't burn as hot, and the stub of a household candle which melted in next to no time, but did get the embossing powder melted well. 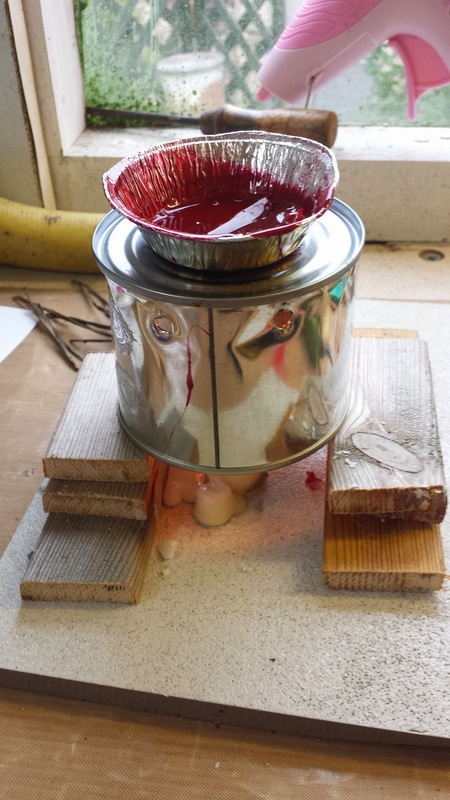 Since I've always fancied candlemaking, I'll hang onto the wax to remelt. I started with using some embossing powder I'm not particularly fond of, crimson red from Heat it Up! which strikes me as a nasty cheap brand, but since it was a freebie with some other stuff way back when I'm not complaining too much and I also feel no guilt experimenting I started by pouring it into a button mold from Sugar and Spice crafts. I hadn't melted enough, as the edges didn't quite come out, so I tipped it back in. 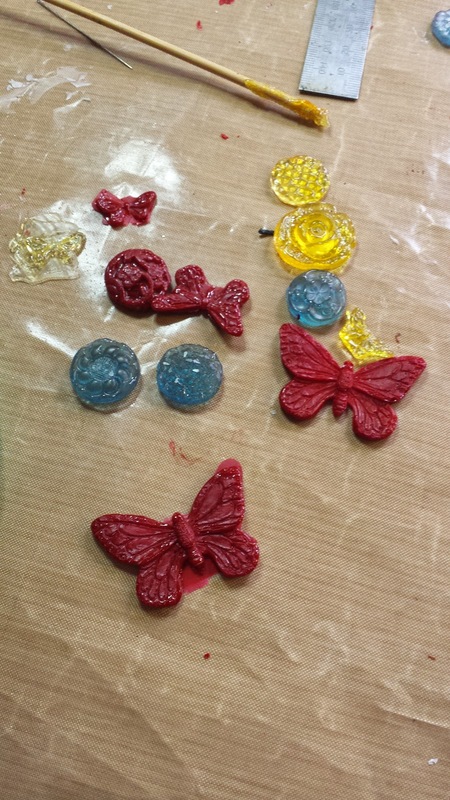 Several attempts later I had enough to fill once of my Butterfly molds. However, the heat it generates makes melting powder more effecient, but it still melts the candle pretty fast. (Here I'm melting some waste candle wax to pour into my ice cube tray I keep for the purpose of recycling scrap wax).